Creating with fabric + sketching in thread. Do you ever notice how hard it is to find awesome things for little boys? Little girl things are slathered all over the world, but if you have a little boy, you are out of luck. Well, you’re in luck. I have a little boy, so I’m more interested in making things to help out the fellow parents of boys. 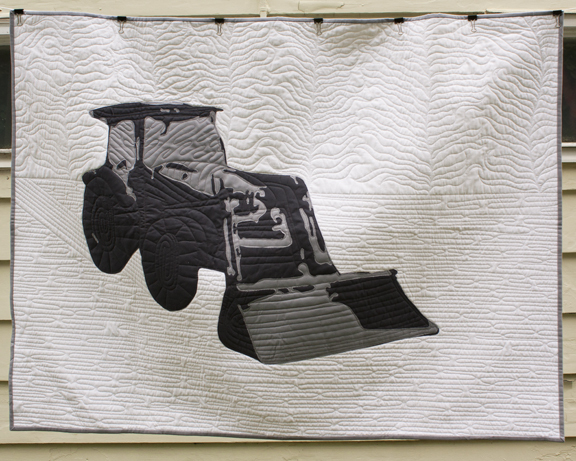 What little guy do you know who wouldn’t love to have his own quilt with a tractor on it? I quilted the background to resemble corn stalks. 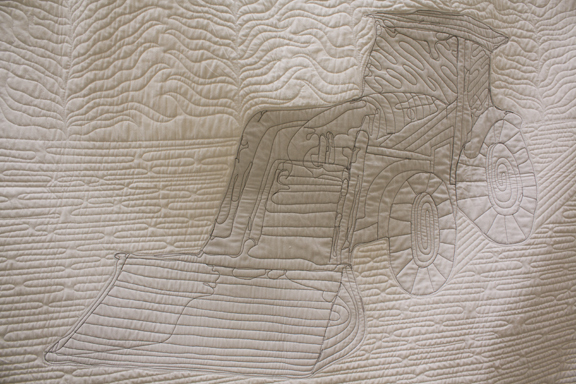 The bottom of the white fabric on the quilt is supposed to look like the ground on a farm: lots of rows for crops. 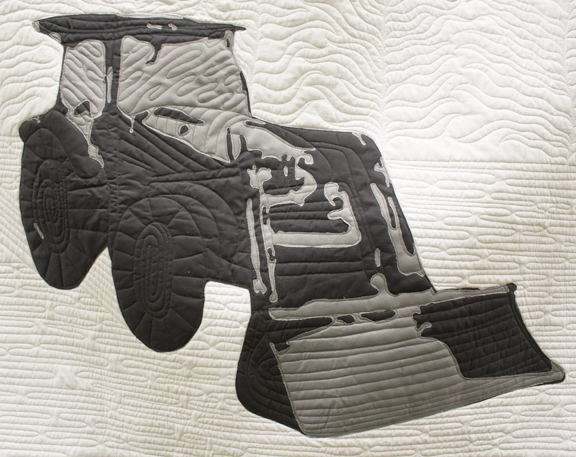 This quilt is a fantastic size for a little boy to snuggle under or is small enough that it would look beautiful hung on a wall. All of the quilts I make to sell that I think might be used as wall hangings come with two pockets in the upper corners are the backside. 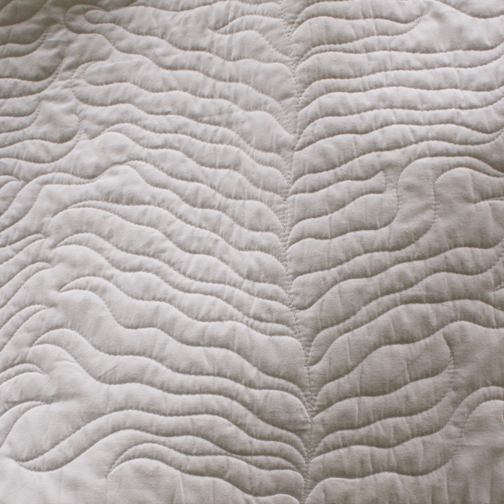 This is to make it super easy to hang the quilt. All it needs is a dowel or thing board cut to the width of the quilt (minus the binding) and inserted into the pockets. 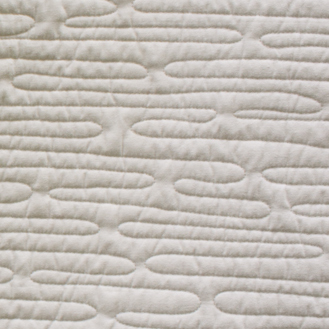 I like to use a very thin board and rested on two t-pins poked into the wall to hang quilts in my house. The back of the quilt is really cool, too. If you’re interested in purchasing this quilt or any of my other work, visit my etsy shop to see my current selection. The listing for this quilt can be found here.